On 26 April 2009 XXXII the Governor-General of Molossia's Desert Homestead Province visited the Molossian Home Territories. Governor-General Travis, his wife Cathryn and son Nicholas were in Northern Nevada visiting friends in the nearby town of Fallon. Being so close by, it was only natural for the Governor-General and his family to come to Molossia, just an hour west of Fallon. The travelers arrived at about 1:00 PM MST, and were met by His Excellency, The President. His Excellency took them on a tour of our nation, culminating with a lengthy chat in the shade of the Summer House. 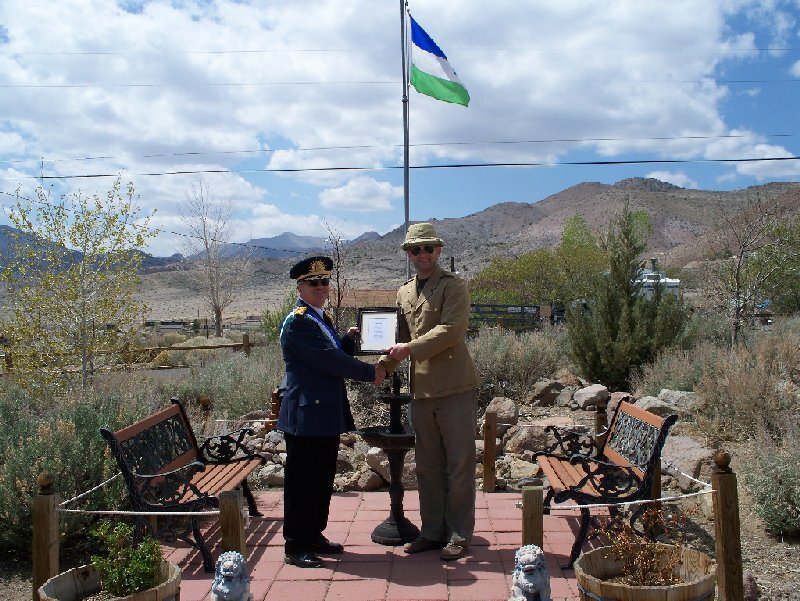 This was the Governor-General's first trip to Molossia proper, although he recently made an inaugural visit to his charge, Desert Homestead Province, also sovereign Molossian territory. Subsequent to visiting Molossia, The President took the Governor-General and his family to nearby Virginia City, Nevada, for a sightseeing trip and followed that with dinner at Straw Hat Pizza in Carson City, the official pizza of the Republic of Molossia. Afterward they all returned to Molossia, before the Governor-General and his family set out for home in the distant wilds of the Los Angeles area. This visit was the second in-person meeting between His Excellency and the Governor-General; the previous meeting took place while the Governor-General was still the Grand Duke of Westarctica, a post he no longer holds. 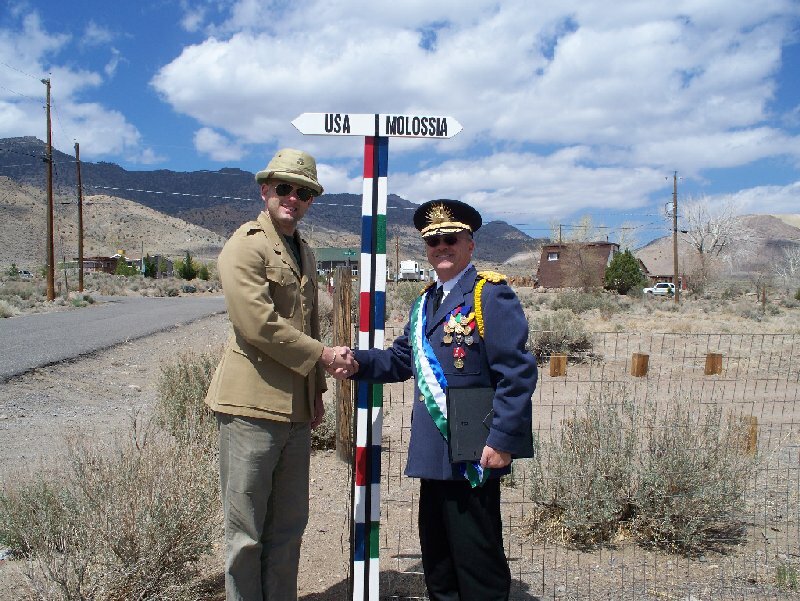 This was an enjoyable and noteworthy event, and we all look forward to future meetings between the Governor-General and The President, both here in Molossia and also in Desert Homestead, our far-flung province in Southern California.